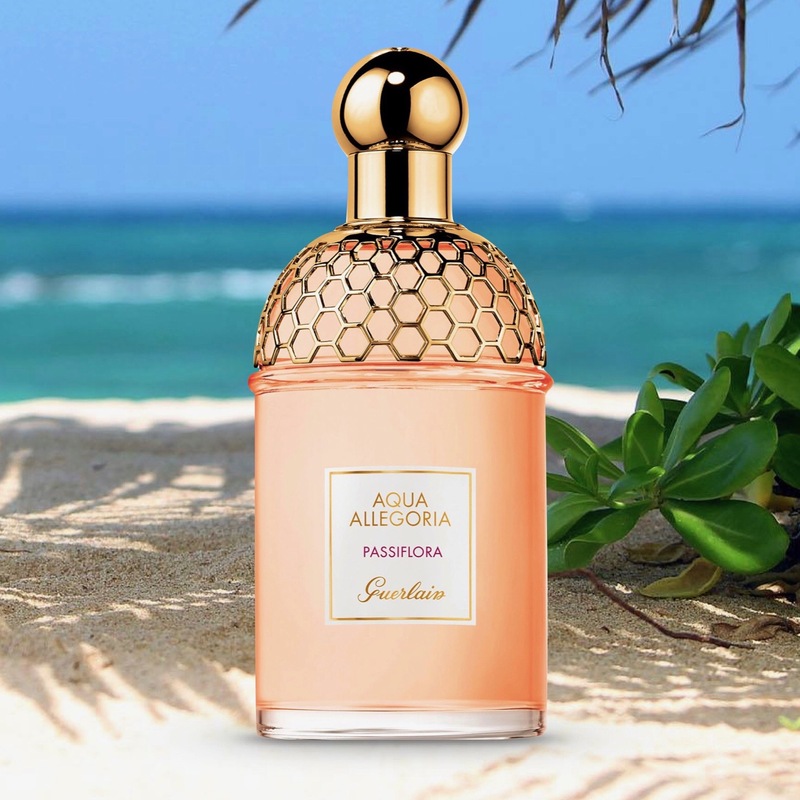 It’s that special time of year again when Guerlain launches its latest Aqua Allegoria and this year it has gone in a decidedly more fruity direction. Passiflora, which is also known as Passion Flower, is the name of the 2018 creation by Thierry Wasser but the fragrance is much more about the fruit than the flower. It is described as “the spirit of passion fruit with an aquatic note” and is designed to be “invigorating, sunny and spontaneous.” So, with the Aqua Allegoria range now numbering ten, and competition for spaces relaxed at least for this year, let’s see just how Passiflora fits into the expanded lineup. Guerlain’s Aqua Allegoria range of fragrances is one that started life in 1999 under the guidance of Jean-Paul Guerlain and has gone on to become a staple in the company’s yearly lineup. The series fell into the routine of having five in the collection, one being discontinued each year to make way for the new release, but always with the classic 1999 Herba Fresca and Pamplelune along with the 2007 Mandarine Basilic making up the core three fragrances. This year the decision was made to double the series by keeping the current five, revive four and also introduce Passiflora. The Aqua Allegoria range hasn’t always been just about citrus fragrances. In the past it has played with the beach-floral Lys Soleia, a honey-touched Flora Nymphea and even a muguet-centered Lilia Bella, but it was always the hesperidic quality that seemed to perfectly suit the motto, “inspired by nature, designed by Guerlain.” This year we are told to “imagine waking up in the morning freshness, savouring a sun-drenched passion fruit, and diving into the crystal clear water of a lagoon.” It sounds like the perfect summer vacation, but does it translate into a fragrance? Passiflora opens, as you would expect, with a huge dose of passion fruit that is given a more zesty edge by the addition of bergamot and lemon. Interestingly the bergamot is more noticeable on a blotter than on the skin. There is no escaping the passion fruit and, for me, this pushes the fragrance firmly in a more feminine direction. The aquatic note that is mentioned does give the fruit a watery quality, which stops it becoming too sweet and cloying, but it’s once the passion fruit dies down that the scent takes on a wonderful familiarity. The combination of mandarin juice, grapefruit, ylang ylang and orange blossom takes the fragrance, on the skin at least, in the direction of the 2007 Mandarine Basilic by Marie Salamange. It's from this point onwards that the scent becomes wonderfully unisex with that mouthwatering mandarin and a perfect blend of floral, but you do need to get past the passion fruit first. 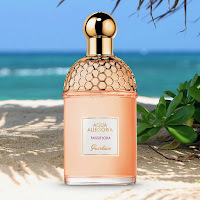 I always loved the fact that the majority of the Aqua Allegoria range was designed to be enjoyed by everyone but, in this case, it is a prerequisite that you want a feminine passion fruit cordial first, and this may put off Guerlain’s male customers. 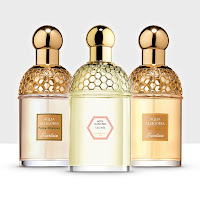 Passiflora is priced at £52 for 75ml and is available from all Guerlain stockists. It is also available in a 100ml bottle at airports and in France.